At least 50 people have been charged by the federal government on charges of fraud and racketeering. This is essentially what happened. Wealthy parents hired Rick Singer of Edge College and Career Network to give their children unfair advantages to get accepted into college. These parents paid big bucks for 1) having others take their SAT, 2) falsifying academic records or 3) giving bribes to college coaches to recruit their children for a sport they never played. To be clear, Edge College and Career Network was the catalyst, but many others were complicit. Parents hired the firm, knowing this created an unfair advantage. Three test takers have been charged and at least one test conductor. Ten collegiate coaches from various universities accepted bribes. And, even though the students have not been formally charged, they are just as guilty. They had to know what was going on. Instead of serving time, involved colleges have or will undoubtedly kick these kids out of college. Joe’s Perspective: As a father of four girls, I cannot understand this scandal. If my kids are successful enough to get into certain colleges, good for them. If not, they will go another route. You succeed or fail based on your own merit and accomplishments. Nothing about this scandal surprised me though. It’s common knowledge that if someone donates big money to a university, their children will probably get accepted. To me, there isn’t a big difference between donating $1 million to the university or paying some seedy company to do unscrupulous deeds. Each act gives someone an unfair advantage. Athletes get an unfair advantage too, and most people accept that practice as okay. So too do legacies. My guess is this scandal will call attention to the other avenues that give students an unfair advantage over more-deserving students. This should get interesting. 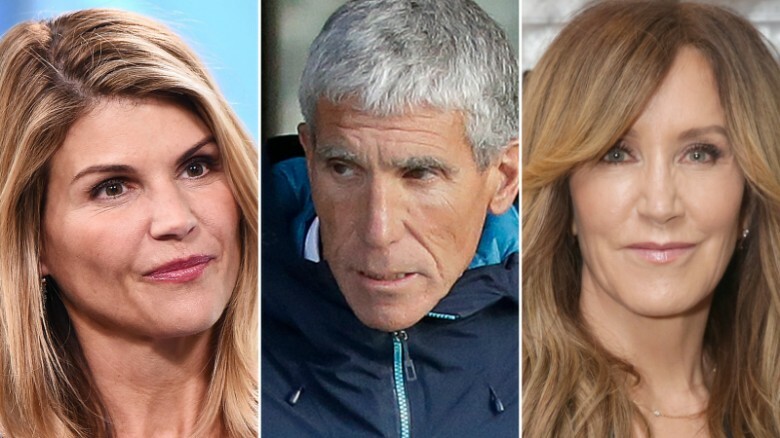 Your Turn: What is your reaction to this college admissions scandal? As a student who strives to do well academically but does not believe they could make it into one of these top colleges, I have all sorts of questions. How could a parent force their child into a place they aren’t ready for? How did those students manage at Ivy League schools?